As one of Italy’s most popular tourist areas, Tuscany is known worldwide for impressive sights like the Leaning Tower of Pisa and the Statue of David in Florence’s incredible art galleries. 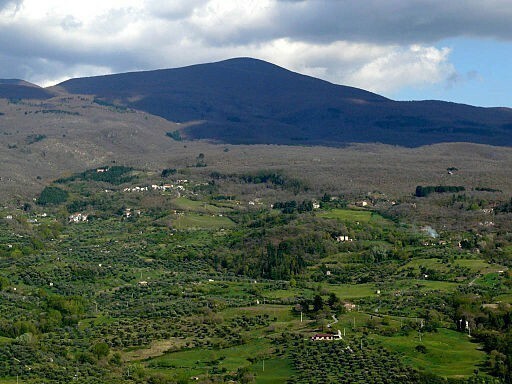 Likewise the area is famous for its Chianti wines and delicious local dishes. 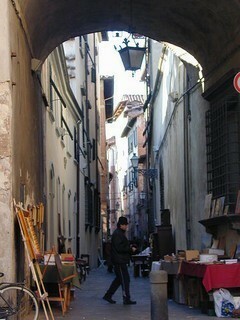 But what if you want a more unique, ‘off the beaten track’ Tuscany experience? 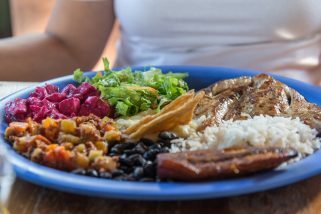 Or perhaps you’re a repeat visitor, eager to experience some of the area’s hidden gems? That’s when you need the help of an expert insider to guide you to the locals’ favourite spots. We spoke to Simon Ball from Tuscany villa specialists Tuscany Now to discover his top tips and secret gems for an off-the-beaten track trip to the area. Tuscany is famous for its food – and there are so many delightful restaurants and eateries in each and every part of the region. La Locanda del Castello is a fine example, located in the tiny hamlet of San Giovanni d’Asso in the hills near Siena. Boasting a beautiful terrace overlooking the tiny town square this is the perfect spot for soaking up the Tuscan sunshine and atmosphere of this quaint old village. This tranquil restaurant offers a chance to taste the hamlet’s delicious white truffles – a delicacy for which San Giovanni d’Asso is world renowned. The restaurant also offers a wealth of traditional Tuscan fare, using local and seasonal ingredients to create their rich and tasty dishes, not to mention the extensive local wines list. Yes, that’s right; skiing in Tuscany! Most people don’t know that in winter you can climb the slopes of Mount Amiata, a dormant volcano, to enjoy the 10kms of trails for alpine skiing with 8 lifts. With protected reserves and nature parks surrounding the ski area, the towering beech forests provide a beautiful backdrop for a day on the snow. Located close to Siena and Florence, the skiing opportunities here make this an ideal destination for a holiday that combines sightseeing and activity. 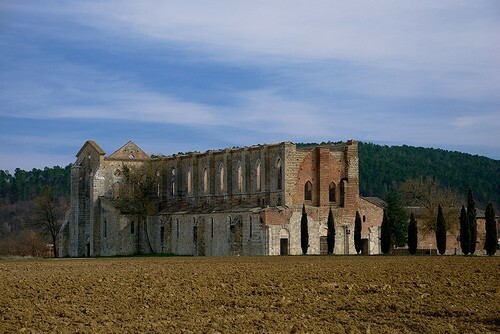 Located in the beautiful Tuscan countryside, just west of Siena, nestled amongst cypress trees and sunflower fields, the charming ruins of San Galgano Abbey are a beautiful example of Medieval architecture, with its own mysterious legend. This roofless structure houses a sword buried in stone – said to date back to Galgano Guidotti, a 12th century knight who, without a cross to pray in front of, thrust his sword into the stone to create his own. However true this legend may be, the abbey itself is a calm and charming spot and the gorgeous countryside around is typical of Tuscany, making this a perfect spot for a picnic or some quiet reflection. Held on the 3rd Sunday of every month at Teatro del Giglio in the city centre, the Lucca Antiques Market is perfect for uncovering some hidden gems, picking up some unique pieces or just strolling through the one-of-a-kind stalls. Here you can peruse rich textiles, unique treasures and old books and paintings – perfect souvenirs from this delightful shopping experience. Surrounded by the city’s towering architecture, the market also offers an opportunity to explore the beauty and charm of this Medieval city. 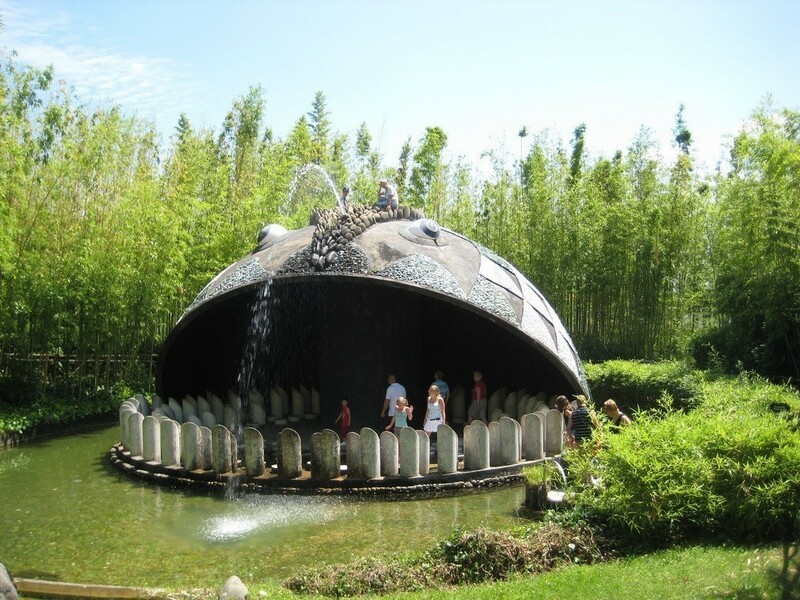 Collodi is the home town of the author of Pinocchio and it boasts this lovely park filled with family friendly activities based around the book. Fans of this charming tale will enjoy strolling around the beautiful garden, taking part in puppet-making workshops and appreciating the exhibitions held here. There are also rides for the children to enjoy and a bar and restaurant for refuelling. Great for a family day out! For more expert tips for Tuscany’s hidden gems or to share your own, Tuscany Now has created an interactive map of things to do in Tuscany; perfect for uncovering more of the area’s wonderful sights and activities.